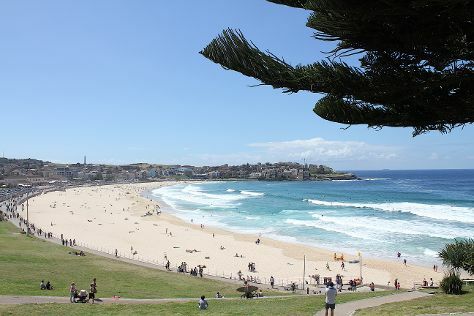 Family-friendly places like Bondi Beach and Dolphin & Whale Watching will thrill your kids. Get out of town with these interesting Sydney side-trips: Katoomba (The Three Sisters & The Giant Stairway) and Fagan Park (in Dural). There's lots more to do: meet the residents at Sea Life Sydney Aquarium, appreciate the extensive heritage of The Rocks, snap pictures at Sydney Harbour Bridge, and get curious at Powerhouse Museum. For ratings, reviews, traveler tips, and more tourist information, go to the Sydney road trip app . If you are flying in from Philippines, the closest major airport is Sydney Kingsford Smith International Airport. In August, daily temperatures in Sydney can reach 22°C, while at night they dip to 11°C. Finish up your sightseeing early on the 19th (Mon) so you can travel back home.